A majority of industry participants recognize that M2M, and now IoT, represents one of the key growth opportunities for telecommunication service providers and enterprises of various sizes in the next decade. Whereas 4G has been driven by device proliferation, bandwidth-hungry mobile services and dynamic information access, 5G will also be driven by IoT applications. There will be a wide range of IoT use cases in the future, and the market is now expanding toward both massive IoT (MIoT) deployment, as well as more advanced technologies that may be categorized as critical IoT. Massive IoT refers to the tens of billions of devices, objects, and machines that require ubiquitous connectivity even in the most remote locations, like sensors buried deep in the ground, and that report their sensing data to the cloud on a regular basis. To reach massive scale, which is defined by global standards body 3GPP as at least 1 million devices per kilometer2, mobile networks must more efficiently support the simplest devices that communicate infrequently, and are ultra-energy efficient so they can deliver an extremely long ten-year battery life. The requirement would be for low-cost devices with low energy consumption and good coverage. 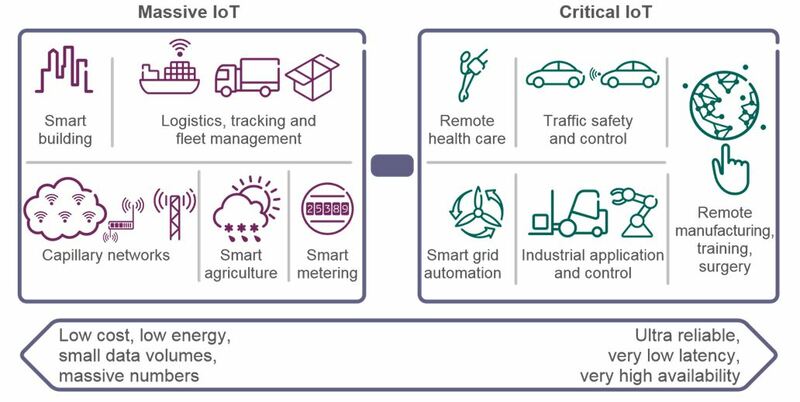 Alternatively, critical IoT applications will have very high demands for reliability, availability and low latency, which could be enabled by LTE or 5G capabilities. The volumes would be much smaller, but the business value is significantly higher. They use smarter devices than just connected sensors (for example, personal digital assistants and insurance telematics), but these must be fairly inexpensive and have a long battery life. The main questions asked by industry participants in the early stages of considering entering the field of M2M and IoT are the following: What are the key market drivers for IoT? How will we realize the 5G vision of connecting the massive IoT and critical IoT applications? Globally, M2M connections will grow from 780 million in 2016 to 3.3 billion by 2021, a 34% compound annual growth rate and a fourfold growth in the evolution from 2G to 3G to 4G3. The underlying fundamental enabler that makes this growth happen is the technology evolution. We are now at the point in time where viable technologies are available at the same time as concrete needs from different stakeholders are taking shape. This is the key reason for the emerging 3GPP Release 13 standards — NB-IoT, LTE for Machines (LTE-M), Extended Coverage-GSM (EC-GSM) — in low-power wide area networks (LPWAN). Different IoT devices need different connectivity services — some only need to send a few bytes at long intervals, while others require continuous high-bandwidth connectivity with low latency. Operators, therefore, need to define a strategy that describes in which segments they want to compete and which will then guide them on how to tailor services for these segments and what technologies to deploy. Frequency licenses are a key operator asset. If the operator has available FD-LTE capacity in sub-GHz frequencies, implementing NB-IoT functionality is a natural choice. If TDD-LTE capacity is available, then both NB-IoT and LTE-M are feasible. If GSM is available, EC-GSM IoT can be deployed, and if 3G is available, spectrum can be refarmed to support NB-IoT. All these options are possible due to the cellular standards development for IoT in 3GPP Release 13. Correct pricing and price differentiation are essential. As the low-power wide area (LPWA) IoT market expands, lower prices for connecting devices to the internet will support the emergence of new applications with new types of sensors. 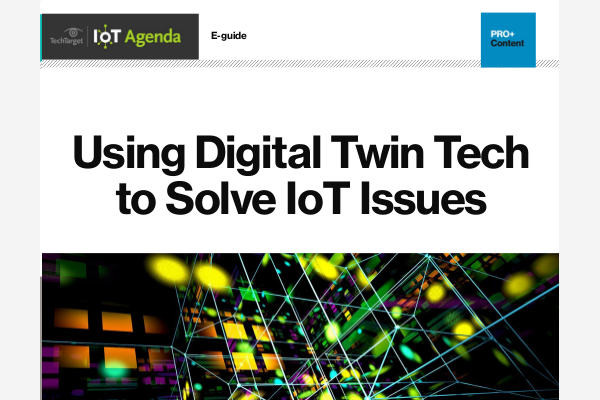 For mobile operators, IoT connectivity is a clear differentiator between companies like Amazon, IBM and Microsoft, which all compete in the IoT arena, but offer no IoT connectivity. As well as connectivity, operators can offer additional services such as devices and device management, as well as applications and services related to those devices. The first cellular IoT networks supporting massive IoT applications, based on Cat-M1 and NB-IoT technologies, were launched in early 2017 and are called LTE-M or LTE for Machines. LTE-M is the commercial term for the LTE-MTC LPWA technology standard published by 3GPP in the Release 13 specification. It specifically refers to LTE Cat-M1, suitable for IoT. LTE-M is a low-power wide area technology which supports IoT through lower device complexity and provides extended coverage, while allowing the reuse of the LTE installed base. This allows battery lifetime as long as 10 years (or more) for a wide range of use cases, with the modem costs reduced to 20-25% of the current EGPRS modems. LTE-M IoT devices connect directly to a 4G network, without a gateway and on batteries. The LTE-M network is deployed with global, 3GPP standardized technology using licensed spectrum for carrier-grade security. This differentiates LTE-M from the technologies offered by other companies with non-cellular IoT offerings. LTE-M supports large-scale IoT deployments, such as smart city services, smart metering, asset tracking, supply chain management, security and alarm monitoring, and personal wearables. LTE-M has been embraced by leading global carriers to build a broad base of ecosystem partners, devices and applications for global markets. Supported by all major mobile equipment, chipset and module manufacturers, LTE-M networks will coexist with 2G, 3G and 4G mobile networks and benefit from all the security and privacy features of mobile networks, such as support for user identity confidentiality, entity authentication, confidentiality, data integrity and mobile equipment identification. Commercial launches of LTE-M networks are taking place globally in 2017-2018. As of Sept, 2017, worldwide, there were 13 commercial NB-IoT networks including six in Western Europe and four in Asia Pacific, and six commercial LTE-M networks including two in the U.S. and three in Asia Pacific. The U.S. is one of the largest and most advanced IoT markets in the world with both AT&T and Verizon launching nationwide LTE-M networks. 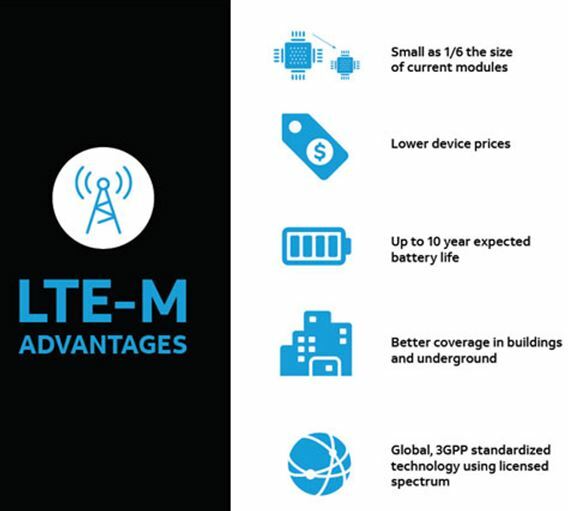 For example, AT&T launched LTE-M services in the U.S. at mid-year 2017, and will launch in Mexico by the end of the year to create an LTE-M footprint covering 400 million people. AT&T’s LTE-M deployment — the result of software upgrades — marks another step forward on the path to 5G and massive IoT. Sprint launched an LTE Cat-1 IoT network nationwide by end of July 2017, and is anticipating a further upgrade to LTE-M in mid-2018, in turn followed by the rollout of LTE Cat NB1 (NB-IoT). T-Mobile has tackled some of the biggest obstacles slowing IoT innovation with offerings for IoT and M2M. T-Mobile U.S. CTO Neville Ray said the operator will be deploying narrowband LTE (NB-LTE) and LTE-M, although a timeline had not been announced at mid-year 2017. Analyst firm ABI has predicted that Cat-M technology will see strong growth beginning in 2018 as network operators become more aggressive in their deployments. The initial cost advantage of non-cellular networks is likely to dissipate as cellular operators move on their deployments. With 3GPP Release 13 eMTC and NB-IoT as a basis, more enhancements to existing features, such as mobility and Voice-over-LTE support, were added in Release 14. Two key features — broadcast and positioning — were introduced. Latency and battery consumption reduction were also planned. New user equipment categories were added to enable UEs with expanded capabilities and supporting higher data rates. The 5G Americas white paper, “LTE and 5G Technologies Enabling the Internet of Things,” provides expanded information on many features for both massive IoT and critical IoT. Looking ahead, 3GPP Release 15 introduces 5G Phase 1: While the requirements address MIoT along with ultra-reliable low latency communications, enhanced mobile broadband and other new cellular capabilities, 5G Phase 1 will focus on eMBB as an early deployment option of the 5G new radio and evolved core network. 3GPP SA2 has initiated a study on the architectural impacts of MIoT in the Release 15 timeframe, which will enable the architecture and protocol enhancements for MIoT to be realized in Release 16. These enhancements will further expand IoT capabilities to take advantage of increased coverage with wide area cells and small cells, improved resource efficiency for IoT devices with limited or no mobility, and support for multiple access technologies, from LTE and 5G new radio to WLAN and even fixed access. As the market for IoT continues to expand, 3GPP will continue to support the growing demands for new and improved communications for IoT devices. Future white papers from 5G Americas will address the advancements for CIoT in Releases 14, 15 and 16 as the market continues to grow and expand through many different use cases and services. Massive IoT and critical IoT will be key parts of 5G. 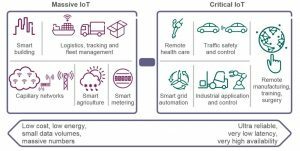 1 “Cellular Networks for Massive IoT,” Ericsson white paper. Jan. 2016. 2 “Leading the LTE IoT evolution to connect the massive Internet of Things,” Qualcomm white paper, June 2017. 3 Visual Networking Index, Cisco, March 2017. 4 Visual Networking Index, Cisco, March 2017. 5 IEEE ComSoc Technology Blog. 6 IEEE ComSoc Technology Blog.